Always easy on the eyes when you open up the 30 pack sampler. Always filled with great choices. 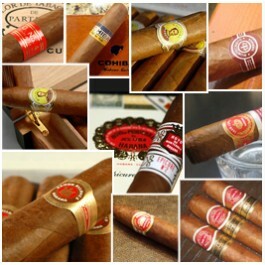 This is a great way to sample a variety of cigars from various makers. Includes a cigar for almost every occasion. The box was packaged well with loose cigars in vacuum sealed plastic wrap. A couple of cigars were scuffed from travel. Nothing to prevent their smoking. I look forward to lighting these up real soon. Shipping was quick. Variety was great. Glad I purchased this so I may figure out what my favorite smoke is. Also, it is great to have 3 of each. I can smoke one on my own and if it makes the cut smoke the other two with my father. Very nice sampler . The cigars look and smell great Fast shipping , well packaged and no problems. I would Definitely recommend this sampler .